penny and jenny. penny from the rescuers and jenny from oliver and company. 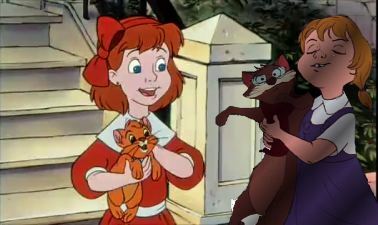 Wallpaper and background images in the disney crossover club tagged: disney crossover disney crossover penny the rescuers jenny oliver and company oliver rufus cats. So cute! I could see them being friends.